Saturday, January 15, 2011 supposedly marks Wikipedia's 10th year on-line. Happy birthday. But along with the candles and cake, I notice various news outlets debating once again the worthiness of this Internet based compendium of knowledge and how much of that knowledge may be opinion as opposed to fact, rumour as opposed to evidence or lies as opposed to truth. Wired magazine printed an article by the Associated Press back in December 2005 which reported on a study conducted by the magazine Nature comparing Wikipedia and Encyclopaedia Britannica. Nature apparently reviewed 42 entries in both works and the overall results were that both encyclopaedias had 4 serious errors. In other words, the two sources of information had pretty much the same quality of research. The surprising aspect of this study is that it disproved the idea that Wikipedia was completely untrustworthy. This didn't mean, however that the razzing stopped. In 2006, Stephen Colbert coined the word "Wikiality", a portmanteau of Wiki and reality meaning "A reality where, if enough people agree with a notion, it becomes the truth." He then called upon his followers to make various edits in Wikipedia notably stating that the elephant population had tripled. This was all quite amusing but more importantly, it exposed the flaw in Wikipedia whereby a totally open system without checks and balances is vulnerable to the idiocies of mischief makers whose amusing little jokes turn out to be a tad more detrimental to the "greater good" than humorous. Call me a stick in the mud but graffiti has always struck me the same way. The individual is leaving some sort of personalised message or piece of art for the rest of the world which in the big picture, detracts from the quality of the view and our lives. Not all of us all the time are properly seeing the big picture and the greater good. Nevertheless, as we all make fun of Wikipedia and its legions of everyday people contributing their knowledge - or should I say stupidity since we're making fun of them - let's not forget the idea of Wikipedia was to get us all pulling in the same direction. Now, keep in mind, all this happened back in 2005 and 2006. It is now five years later. Yes, there have been numerous articles about hackers doing various unwelcome edits to entries in Wikipedia. - I remember some controversies surrounding entries about politicians whose edits were traced back to their own parties. - However, Wikipedia has tried to do a better job of controlling edits and verifying those edits but at the heart of it all, is the idea of the everyday person contributing to the greater good. Is that enough? My gut says this is a bad thing. Wikipedia at 10 is really no more trustworthy than it was at two, five, or eight years old. However, the reality is that this is how the world prefers its information now: interpreted through the prism of belief and self interest. We get our news from web sites, blogs and television networks that, whether stated or not, have a point of view. It's not "The Truth." It's "His Truth. Her Truth. Your Truth." Why should we expect our new primary source to be any different? Mr. Ulanoff is critical and in his article he explains why by citing how the Wikipedia article about himself has been edited over the years and how at times misinformation has been placed there. He has a point but I must ask just how far should he or anybody go with this criticism? WorldPublicOpinion.Org released the results of a poll on December 9, 2010. In a nutshell, it said that viewers of Fox News were more than likely to be misinformed about various issues. Various news outlets like the Globe and Mail reported on this and Fox News itself refuted the findings. No matter what the poll said or what Fox's refutation stated, there does seem to be the idea floating around that Rupert Murdoch's Fox News may not be so much reporting the news as trying to shape what's making the news. I can't say this is true or not but I will say that people like John Stewart of the Daily Show and Stephen Colbert come back to this idea quite frequently with proof which is very humorous. Let's not forget that Fox is home to people like Glenn Beck and Bill O'Reilly, two personalities which couldn't exemplify any better the extremist end of the ring wing conservative part of the political spectrum in America. By the way, Fox's refutation of the above poll was written by John R. Lott, a research scientist at the University of Maryland. I mention this because he is the author of the book More Guns, Less Crime in which he claims to demonstrate statistically that if we all carried a concealed weapon, crime would do down. I suppose at first glance that like the Wild West, being armed does make your attacker think twice but I find it curious that at the age of 58, I can't say I have ever been in a situation which warranted having firepower to guarantee a safe and speedy disentanglement. I'm just saying. Canada versus the United States? The true north strong and free versus the Wild West of America? Mr. Ulanoff from PC Mag feels than Wikipedia is not trustworthy. Fine, that's his opinion. But I think we all have to recognise there is a general problem about any information we get from anywhere. Maybe we think Encyclopaedia Britannica is accurate, maybe we feel it is accurate but Nature magazine found the number of errors to be no less overall than those in Wikipedia. However I note that the problems in Wikipedia have hit the news far more often than anything about Encyclopaedia Britannica being wrong. In my blog Lies, Deception and The (My) Truth I talk about the information we get from politicians. Hey, now talk about slanted! The question for me is whether the source offers verifiable references. Wikipedia can have footnotes but politicians can't when giving a speech. That pretty much sums up the problem right there. Most of time the information we get whether from colleagues, from TV or from the Internet comes without verifiable footnotes. Add to the whole issue is that most of us will not take the time to verify anything we learn. We accept it as the truth and start repeating it ad infinitum. Colbert jokingly coined Wikiality meaning "A reality where, if enough people agree with a notion, it becomes the truth." however I seen numerous cases where this idea is very much applicable to everyday life. Here's a perfect example. When you cook spaghetti pasta, tradition has it you should add a bit of oil and a pinch of salt to the boiling water. My mother said it; my wife said it and the cook books talk about it. Guess what? Not true. But who is going to take the time to investigate? See Boiling spaghetti: to salt or not to salt. Okay this is a simple maybe silly example but Lies, Deception and The (My) Truth sums it all up. We rely on various sources of information whether TV, friends or politicians and all of them could possibly be inaccurate or just plain wrong. This seems to be a fact of life, a fact from which we can't escape. I use Wikipedia all the time. Is it perfect? What could possibly be perfect? However, am I going to throw out the entire barrel because of one bad apple? If I am writing something which demands a certain degree of verifiability, I check the footnotes in the article. Curiously enough, I may find that sometimes the linked footnote is gone if it's a newspaper article or the link leads me to a page which is really no more verifiable than the Wikipedia article. The fact of the matter is that I'm certain the same problem exists for Encyclopaedia Britannica but now that we all have access to Google, there is more of an opportunity to do some double checking. I see that right there as the problem: checking. Because I work with computers, friends and colleagues have taken to asking me my opinion about various emails floating around the Net purporting to make statements which at first glance may or may not be true. Then again, maybe I just have a better BS detector or I'm not so gullible but I have found that a quick search in Google, usually to Snopes or Urban Legend gives me my answer and the proof that my BS detector was correct. Note what I said though, I took the time to check. My checking involves nothing that anybody else couldn't do but I just took the time to do it. That's the key. Generally people accept anything without checking. Of course, if you're reading an article on aspirin or nuclear fusion, you would assume it's accurate. If the article was on the latest break-up of a Hollywood couple, you might take it with a grain of salt. For me, I will continue to use Wikipedia. For me, I will try to double check certain things which may benefit from some verification. For me, as a blogger, I will try to not just write, but offer some verifiable proof that what I am saying, while my opinion, is based in fact. Oh yeah, one other little attractive aspect of Wikipedia over Encyclopaedia Britannica: it's free. Happy birthday and I get a gift. Wikipedia is a free, web-based, collaborative, multilingual encyclopedia project supported by the non-profit Wikimedia Foundation. Its 17 million articles (over 3.5 million in English) have been written collaboratively by volunteers around the world, and almost all of its articles can be edited by anyone with access to the site. 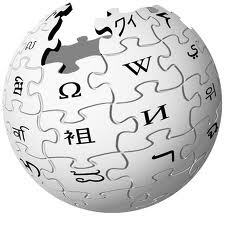 Wikipedia was launched in 2001 by Jimmy Wales and Larry Sanger and has become the largest and most popular general reference work on the Internet, ranking eighth among all websites on Alexa and having 365 million readers.